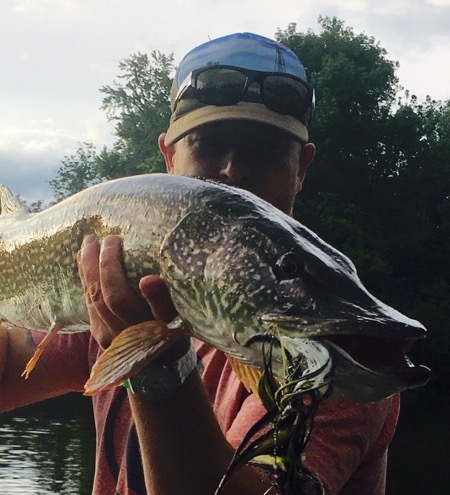 Pogo specializes in fishing for Pike, Musky, and Bass. He guides on lakes throughout the Northeast, and on Connecticut rivers centering on the Housatonic River. It's a fun day on the water with beautiful scenery. Also offering fishing for Musky in Wisconsin in the fall, North America's best Musky fishing destination. Pogo's Guide services include full and half days in state of the art Stealthcraft Jet boat. Top end rods and reels are provided, along with personally tied flies for the specific waters and species fished.